﻿ Rheology Sensory Research and Testing at Rheology Central of Fluid Dynamics, Inc.
Rheology is a strong factor in the physical appearance of a fluid or soft solid. Overall consistency, stiffness, rigidity, and ability to maintain its shape and form are related to mechanical property attributes. Some fluids can maintain physical stability of a suspension while others may not throughout shelf life. Other products will able quite solid-like in their packaging but deform easily with increasing stress or strain. Frequently rheology is a key factor in the successful design and implementation of a product formulation. . Many consumer products need to be poured from a bottle, squeezed from a tube, sprayed from a container, applied with a brush, or otherwise mated with some surface. In addition, products need to be dispensed by a broad range of users including kids, seniors, disabled individuals and adults. 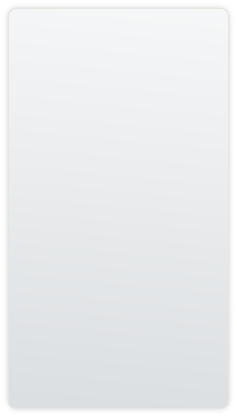 From an engineering perspective, this transient flow should be modeled for a broad range of potential users for maximum utility. Choosing the right test method to evaluate product behavior is of paramount importance. We choose these methods by keeping in mind the nature of the fluid and the objective of the test. Rheology and tribology are meaningful metrics in sensory studies of many consumer products including personal care and foods. Lubricity measurements can be insightful into the “feel” of a lotion or cream as it is being applied in addition to how easily it applies to the hands, face, or other parts of the body. 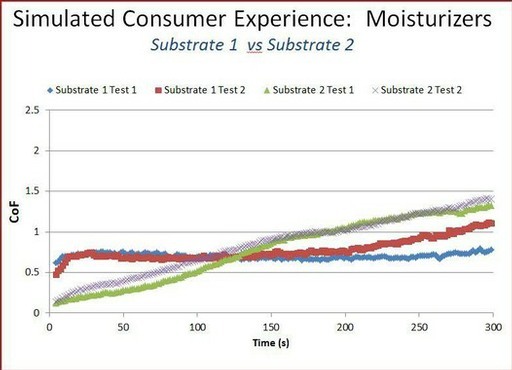 Our studies have shown that it is critical to study lubricity or dynamic coefficient of friction measurements on the correct substrates to best simulate actual in-use conditions by consumers and to test over an appropriate range of substrates to cover a wide range of consumers. How easily does it pour, extrude, spread, or spray? Here is an example of the range of steady state viscosity values of a set of premium and value brand personal care products at a low shear rate at room temperature. Each of these products exhibits strong time dependent shear effects as well as a strong temperature dependence. The objective of many rheology studies is to correlate rheological behavior to consumer sensory preferences. What measurement suite is needed to capture how a consumer uses a specific product? This should include their visual perceptions, dispensing the product and, of course, product use. Whether this is a paint, a personal care product, home care, etc. The visual atttributes are very important and can bias perception of performance in a positive or negative manner. Knowing which tests are needed to quantify each of the in-use steps is the key to a successful property:preference correlation. This is critical from the design of the questionnaire, to the consumer panel selected for the study, to the final statistical analysis of the consumer and analytical data.